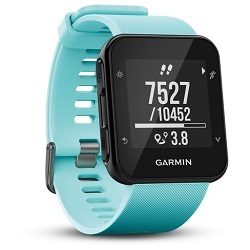 At £439, the Garmin Forerunner 935 is for those who take running seriously. But if you do, it is worth investing in it – not the least because of the device’s impressive battery life, which lasts for up to two weeks on standby mode, and up to 24 hours when consistently monitoring activity. The watch can track a variety of activities including swims, cycles or rounds of golf, in addition to displaying various training options. It also provides details on heart rates, lactate thresholds or recovery times. All of which is packed in 49g; a relatively lightweight gadget, therefore, that makes for a complete running watch.